Don't miss out! - time to register is running out! You can register today and pay later, and we have a group discount offer of book 4 get 1 free. Please contact us for further details or if you have any questions whatsoever. Alun Machin is a Senior Experience Architect at News Digital Media where he specialises in creating engaging online presences for the company’s plethora of websites. Alun has well over a decade of experience in interaction design and has worked with a wide variety of organisations both in Australia and Europe. He’s particularly excited about the challenge of designing shared experience spaces with delivery through multiple devices including mobile. As well as being a passionate advocate of user-centered product design Alun remains a hopeless devotee of Liverpool Football Club and enjoys playing records very loudly. Andrew is based in Canberra, Australia. He has been managing and designing information systems for more than a decade, mainly in the defence, government and health sectors. Andrew is currently the senior UCD practitioner for a large government organisation where he advises on web information and service delivery, quality/process design, IA, IxD, and usability/accessibility evaluation - and sometimes he even gets to do some design work. A co-convener of the Canberra IA Cocktail Hours, he is partial to good wines, fine dining, conference tourism, and organising web community social networking events. You can find Andrew on twitter as @facibus. Anthony is currently the Creative Director at Different Solutions in Sydney which delivers user-centric design solutions and experience consulting. Before joining Different in 2007, Anthony led UX teams holding positions of Creative Director, User Experience Manager, Interaction Design Team Lead for myfamily.com (Seattle), Classmates.com (Seattle) and the BBC (London) respectively. Anthony also graduated with a Bachelor of Graphic Design from the University of Canberra, Australia in 1996. You can find Anthony on twitter as @colfelt. Ben is a senior consultant at PTG Global, a user experience and business technology consultancy. He’s been in the online space for about 12 years, with experience in digital strategy, user research, information architecture, design and development, and online marketing. He has been involved in projects in Australia and Ireland as diverse as rolling out regional Monster.com websites, producing politicians’ websites and start-up web applications, and overhauling several not-for-profit organisations’ websites to increase campaign awareness and donor revenue. Through it all is a passion for uniting user experience with business performance. Ben enjoys helping clients connect the dots between their staff, their work, and the technology they use, as well as getting out and listening to the people for whom clients’ systems are designed. Favourite beverage? Red wine, although he wouldn’t say no to a Guinness or three with a peat fire and good craic. Find Ben at his own website catchmedia.com.au, or on Twitter as @bencrothers, or on LinkedIn. 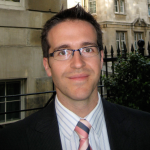 David is a senior usability consultant, user researcher and jack of all trades. He has been with Peak Usability for 2 years and would like to avoid a return to a government job. He’s worked with a range of clients for Peak Usability including the Department of Communities, Australian Catholic University, The Department of the Premier and Cabinet, Ergon Energy and iiNet. He has an odd penchant for intranets and seems to get a kick out of sorting these beasts out. It might be some dragon slaying fantasy at play here. 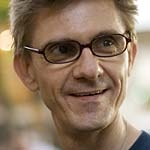 He can be found on Twitter as @davemonkey and as the electronic face of Peak Usability as @peakusability. 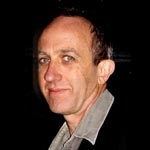 David Sless is Director of the Communication Research Institute, Visiting Professor of Information design in the Design Institute at Coventry University, and Vice President of the International Institute for Information Design. In 1985 he was invited to set up the Communication Research Institute, a not-for-profit body that undertakes research and provides information design services to over 200 large organizations in government and industry. Gary Barber is the principal user experience designer at radharc with a focus on UX design, usability and information architecture. He is a realistic standardista who is constantly mentoring and exercising his passion for creativity, usability, accessibility and minimal user experiences – be this from speaking engagements, consultations or over a few quiet ales. Garyʼs formal educational background is in making weird substances and blowing things up, and this, as expected, has no relevancy for having been working within the web industry in various roles since the dark ages of the mid nineteen nineties. He has spent a fair amount of time consulting for the government, education, energy and private sectors while designed large intranets, social media sites, CMS and realigned sites back to their core business using the web industryʼs best practices. Gary also contributes to the community by volunteering to various professional bodies. 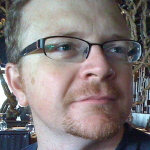 He has worked with the Australian Web Industry Association and is a founding member of the fledgling Perth chapter of the Usability Professionals’ Association. 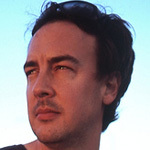 He has also written for for Sitepoint.com; and looks at user experience and other web issues from time to time on Man With No Blog. You can also find him on twitter as @tuna. 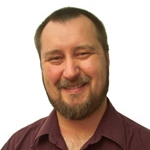 Geoff’s the CEO and application architect for Daemon Internet Consultants. Focused on a pragmatic approach to defining and delivering solutions, Geoff’s team is responsible for the web presence of Australian Olympic Committee, UNSWTV media publishing system, Bluescope Steel, SelecTV, Science in the City, Yaffa Publications (home of AdNews) and other iconic web applications. Apart from all the hard yakka working for Daemon, Geoff’s a regular poster to the Daemonite blog, benevolent dictator of the open source FarCry CMS project, and editor in chief of Full As A Goog. And in his free time, he runs the webDU Developer Conference, is a User Group regular and the list-admin for various Australian mailing lists. Geoff’s also the co-author of the best selling "ColdFusion Developer Study Guide". Geoff tweets and chirps as @modius. 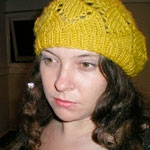 Jodie is a passionate user experience advocate. She is Co-founder & Director at Symplicit, a User Experience Design Consultancy that focuses on assisting clients to create great experiences for their customers. Her background as a Psychologist means understanding human behaviour is a core philosophy. However, she is really interested in how to combine this understanding of human behaviour with good design thinking, to help change business models and create innovation for Symplicit’s clients. She is excited to be talking at OzIA at a more practical level about conducting user experience research in the corporate environment, and share some of the novel approaches she has developed to try to uncover a little more about what goes on in the users day-to-day life. Come and say hi! You can find Jodie on Twitter as @jodiemoule or follow the team @symplicit. 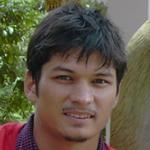 Joji has over 8 years experience in the field of Human Computer Interaction/Usability/Information Architecture. He has experience as a research academic, teacher, and now works as a consultant with UsabilityOne actively working to improve the usability of client websites. 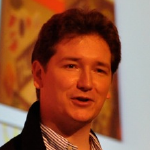 He is a regular speaker at industry events specifically on the topic of usability. Joji has a passion for end user interaction with interfaces, especially with respect to current web trends and emerging technologies. Jonathan Cooper was trained in art education. Since joining the Art Gallery of NSW as museum educator in 1982, his work has included planning and delivering educational services, to many different types of audiences, and producing educational exhibitions and resources. As the Art Gallery’s first website manager (since 2001), he has overseen innovative online projects, including a virtual exhibition creation tool (myVirtualGallery), navigable virtual tours and ‘viral’ interactives. 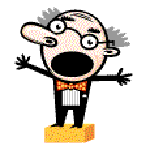 Jonathan blogs at doctordada, tweets as @drdada, and has more links on his personal portal. 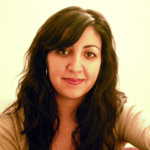 Ladan is an information architect at the Department of Human Services, Victoria. Prior to her current role, Ladan has worked on a range of diverse web projects over the last 9 years; from a major redevelopment of the Victorian Dept of Justice website to freelance work with not-for-profits in outback Australia using the web for mentoring young indigenous people. She has also had international experience, working for the Australian government (sort of) in Thailand. Ladan has a strong interest in exploring user behaviour in as many ways as possible, to improve their web experience and facilitate better service delivery. Ladan’s other key interests include coffee, talking to people about stuff and making complex and unachievable plans to go to the gym. She has the daily struggle of convincing people she works hard despite being a public servant. She also likes good grammar and proper use of apostrophes. Ladan can be found on twitter as @LadanWise. Captain Matt Fisher, SO3 Special Projects, Headquarters Forces Command, Australian Army. 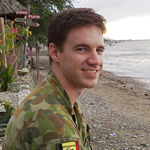 Matt is a software and mechatronic engineer working in the Australian Army. He was in the full-time Army for seven years until this May, and is now transitioning into the wider world while continuing in the Army Reserve. Special Projects is a cell within Headquarters Forces Command at Victoria Barracks Sydney dedicated to demonstrating and evangelising modern design and development practices within Defence. Matt tweets as @Fush and likes green tea and cappucino. 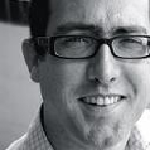 Matt Moore has worked for PwC, IBM, Oracle and ASIC doing information and knowledge management. He is now a director of Innotecture and sometimes teaches at UTS. Matt blogs at innotecture and tweets as @innotecture. Matthew Hodgson is an Agile IA, Web and Social Media Strategist, User-Experience Engineer, and collector of Ultimate Collector Series Lego models. He has a real passion for mentoring people in the application of user-centred design in agile environments, stealing techniques from the discipline of Business Analysis and Project Management, and the benefits of chocolate during participatory design workshops. 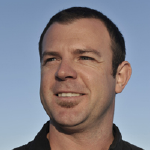 Matthew blogs at The AppGap, Matt’s Musings and ZenAgile. He can also be found on twitter as @magia3e. 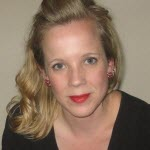 Meghan is a Senior Usability Consultant at Stamford Interactive. Prior to relocating to Melbourne from the U.S., Meghan spent 9 years in NYC working in the realm of user centred design, getting her start in 1998 at one of the first social networking sites, Bolt.com. While forever passionate about good site structures, interfaces and interactions, Meghan’s time spent working as an experience designer within a management consultancy has broadened her enthusiasm for developing holistic customer experiences. She is particularly interested in the areas of persuasive design and service design, researching and presenting on both topics. Meghan has worked for clients including T-Mobile, Disney, Tommy Hilfiger, Pfizer, Prudential Financial, Westpac, ANZ and the ACCC. She’s currently working alongside the Victorian Department of Human Services, helping to redesign their intranet. She holds a B.F.A in Electronic & Time-Based Media from Carnegie Mellon University in Pennsylvania, U.S.A.
Melissa has designed user experiences for news media publications, social media, e-commerce, classifieds and new ventures. With over a decade of online experience, Melissa has recently worked at Fairfax Digital and the ABC, where she spent a lot of time thinking about and designing search based activities. Melissa is a strong believer in understanding the broader user experience - beyond interaction with the computer. She is passionate about how an individual and society’s relationship to information technologies aids and impacts their life. This interest informs her design work. Melissa has a Bachelor in Communications and a Masters in Interactive Multimedia. In her spare time, Melissa hops on the internet, reads up on the internet, listens to podcasts about the internet, pokes around and sometimes ducks under the hood. Melissa blogs at everyonedeletestom and is also on twitter at @mississa. 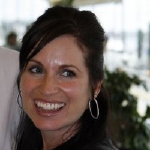 Mia is an IT strategic planner, business architect and PRINCE2 practitioner with over 15 years senior management experience with program and project management in government, health, and commercial sectors. As an Osh_, a ZenAgile Master, Mia is passionate about mentoring and coaching others on the application of Agile, particularly in non-IT environments, through a focus on user-centred design. Mia blogs about analysis at BA Rocks and loves to drink skinny hot chocolate with marshmallows. You can also find Mia on twitter at @miahorri. Oliver draws on a background in psychology, experience in usability, and understanding of mobile technology to identify key issues for client business strategy, and customers, and to recommend & design solutions. He has a wide range of experience evaluating and improving the end-to-end customer experience with mobile devices, portals, applications and content. 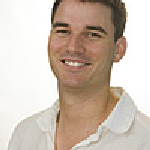 Oliver has consulted to clients such as; Hutchison, Optus, Telstra, ninemsn, ABC, and RPO. Oliver is a co-author of the Australian Mobile Phone Lifestyle Index, which looks at mobile content usage in the local market, and he also co-hosts Mobile Monday Sydney, a mobile focused networking night. You can also find Oliver on twitter as @oliverw. Patrick Kennedy is Design Research Lead at News Digital Media, where he specialises in understanding audiences and their needs through user research, and using that knowledge to inform strategy and the design of online experiences. Patrick has over ten years experience in web design, information architecture and user experience design, and has worked with many different types of organisations in a variety of industries, both in Australia and the UK, assisting them with enhancing their websites and other information systems. Patrick holds a nationally recognised training qualification, and has run workshops on information architecture and design research for the general public as well as for in-house training. 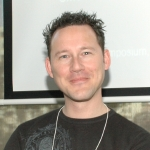 He speaks regularly at industry conferences, including Oz-IA, OZCHI and UX Australia, and has published many articles on user centred design and related topics. Patrick blogs at Pat’s Point of View and you can find him on twitter as @PatrickKennedy. Rob has been modeling information architectures and innovation driven business models since 1989. Over the last 5 years his focus has been exploring how mobiles and service based APIs are changing our lives. He spends his time helping MOB’s clients and partners explore life after convergence - a place where objects and their interfaces diverge, allowing you to control them anywhere, anytime. He focuses on developing and exploring hands on, real world experiences with new networked technologies. You can find him on twitter as @nambor. Dr. Rod Farmer currently holds the position of Senior Manager, Experience Strategy for Vodafone Hutchison Australia where he is responsible for leading the company’s User Experience strategy for all digital platforms and services. His career in User Experience spans 12 years, where he has led product design across mobile, online and enterprise environments. 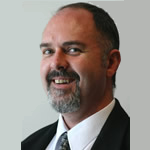 Rod’s consulting experiences span Defence, Telecommunications, Healthcare and New Digital Media. 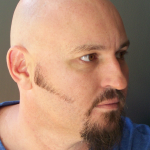 Rod is passionate about mobile design, raising awareness of User Experience within the Australian community and developing UX organisational competencies. He holds a PhD in Engineering (Human-Computer Interaction) from the University of Melbourne, has over 40 international peer-reviewed publications, and was awarded a Fellow of the University of Melbourne due to his contributions to User Experience. He is the author of two upcoming books: "Human-Computer Interaction and Language Learning" and "Managing the User Experience". You can find Rod on twitter as @rodfarmer. Lead UX Consultant with Stamford Interactive, Sydney. Suze has been creating better user experiences for over 9 years with her user-centred design, interaction design, visual communication and information architecture skills. 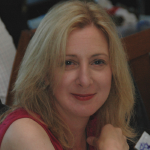 Suze has designed the user experience for applications, software, intranets, websites and online games. Suze also really loves yoga, photography and illustration. 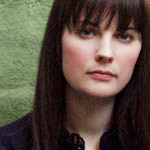 Suze blogs at suzeingram.blogspot.com, and can also be found on twitter as @suzeingram.